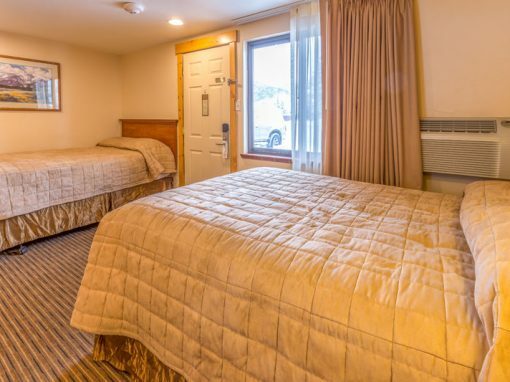 The Rabbit Ears Motel, located in beautiful Steamboat Springs, Colorado, is your choice for comfortable, affordable lodging right in the center of downtown. 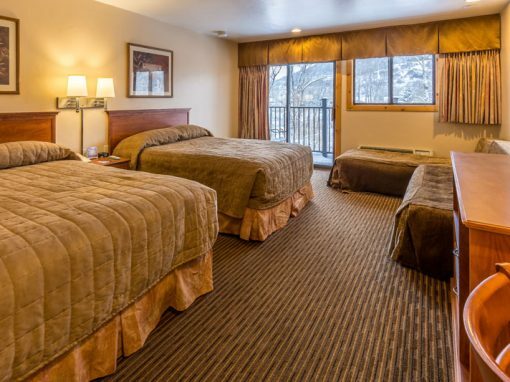 Either they built Steamboat around our motel, or our motel was conveniently built in the center of all the action. 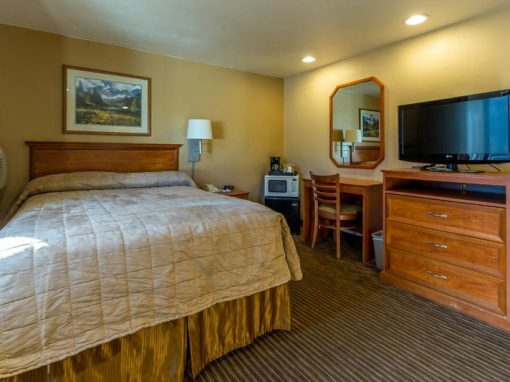 So, both ways, you know that all the activities and nightlife the valley provides are in close proximity. 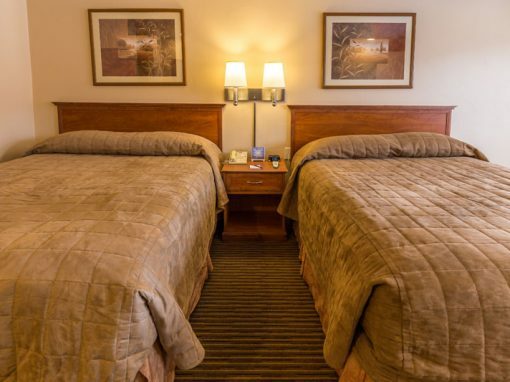 Choose a weekend get-away for the family, or stay with us the whole week. World-class skiing with slope-side ski-in, ski-out convenience is expensive and overrated. 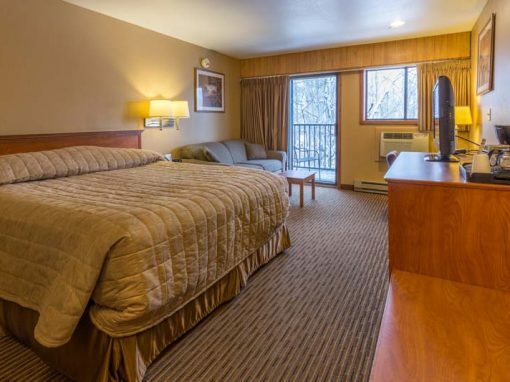 Our motel is right on the main street and just a 5 minutes’ bus ride to the gondola and the base of the ski area. Oh, and the bus is free. Lastly, all our guests are welcome to get reduced-priced Old Town Hot Springs passes for our recreation center, just across the street. Checkout our special promotions! These change and are updated regularly. Location is “everything”, right? We’re in the middle of convenience without being the middle of the crowd. In fact, we border a park, the slow moving main street and the Yampa River. 60+ Years in Steamboat, the Rabbit Ears Motel is more than just iconic…it’s a part of the lanscape.